I love it when comfort food is healthy food! Fennel is one of my favorite foods...when eaten raw, it has a black licorice flavor with the texture of a crunchy apple but when roasted in the oven it becomes soft and a bit sweet. Fennel is also great for upset stomachs and is full of Vitamin-C! This recipe is perfect for winter months to help boost your immune system. The smokeyness from the bacon mixed with the sweetness from the apple and fennel is so delicious. You may want to reserve a little extra of the Fennel-Apple mixture and save for garnish. I tend to make more and save for later served with pork chops or mixed in with salads! Slice smoked bacon into pieces and fry until cooked. Set aside and save bacon grease for later. Slice apple, fennel and onion. Drizzle with olive oil, sprinkle with seasoning and bake at 400*F for 10-12 minutes until soft. Remove from oven and toss gently with bacon pieces. Season chicken with seasoning and slice a thin opening on the thick side of the breast. 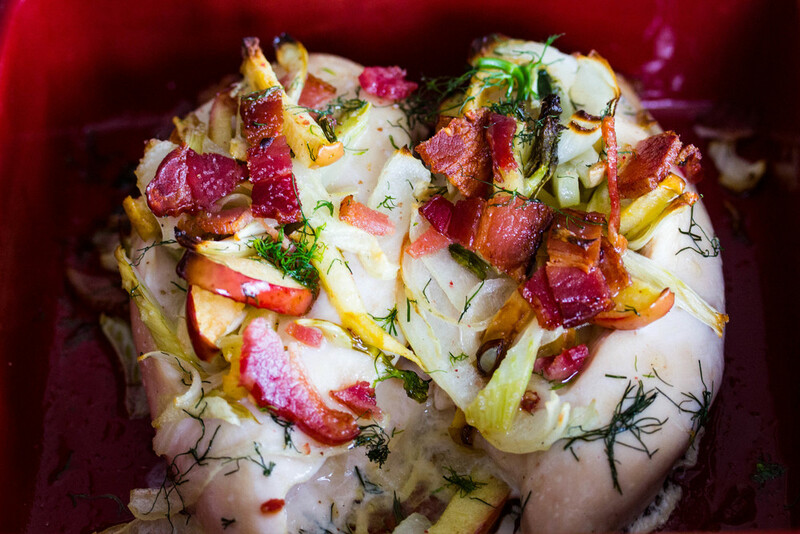 Stuff chicken with fennel apple and bacon mixture. Drizzle chicken with bacon grease. 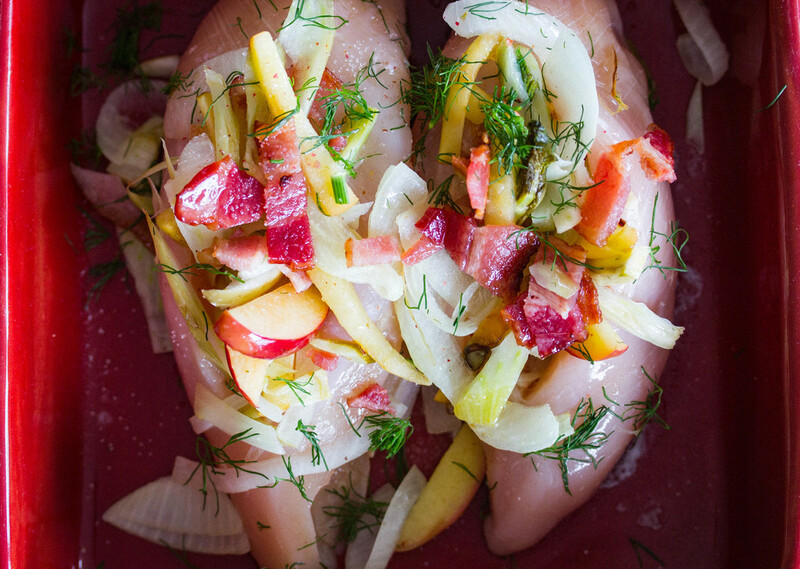 Serve garnished with more fennel apple and bacon.